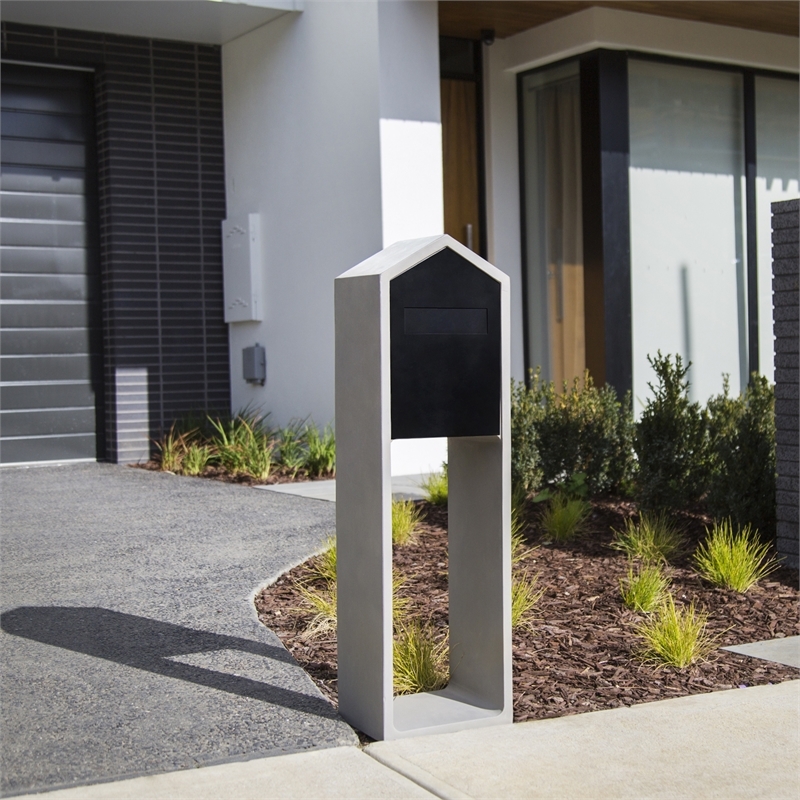 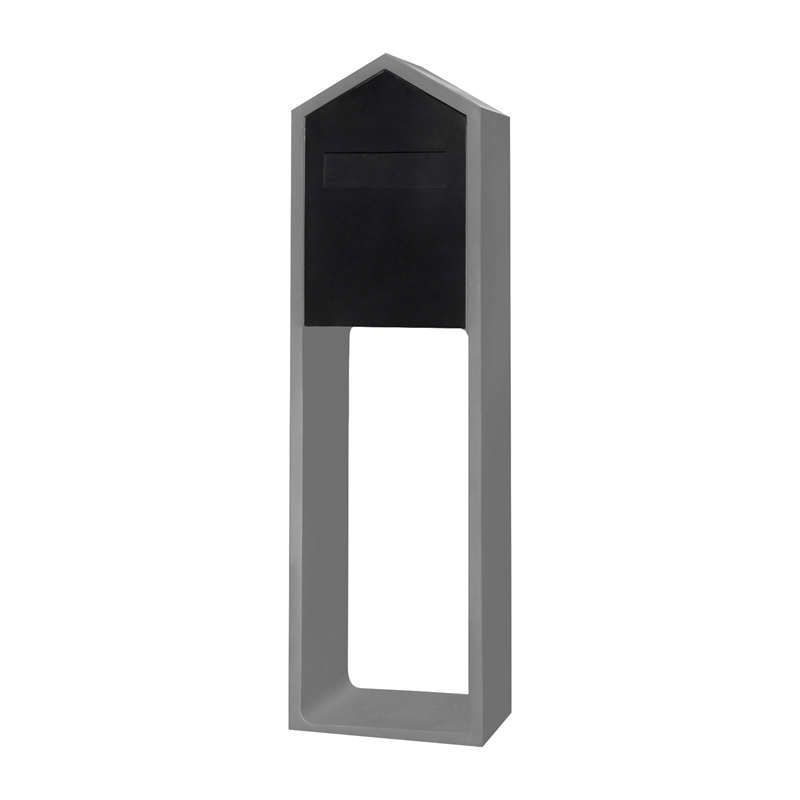 This estate peaked pillar letterbox has rain resistant mail slot and is made from glass reinforced concrete and metal with a paintable surface. 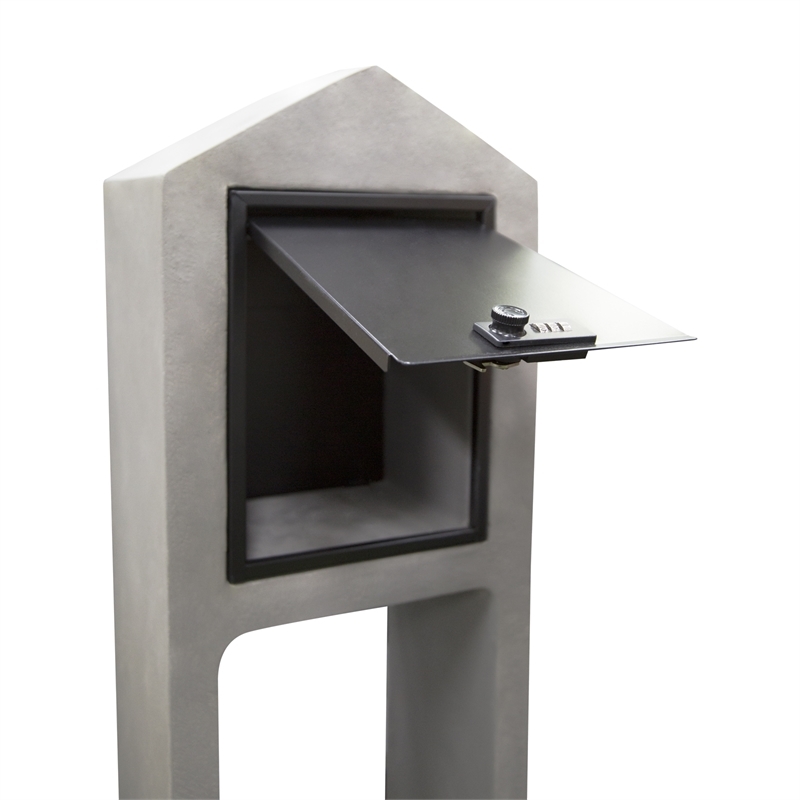 It features a combination lock for extra security and also an extra large rear door for greater accessibility. This letterbox is easy to install with instructions included.